Lyft said today it is taking its self-driving cars to GoMentum Station in Contra Costa County, California. The 5,000-acre campus is a proving ground for transit technology used by car-and-part manufacturers, among others. The deal with GoMentum will give Lyft an opportunity to test its technology on private roads. The ride-hail company first laid bare its ambitions to build self-driving car kits in July of last year. 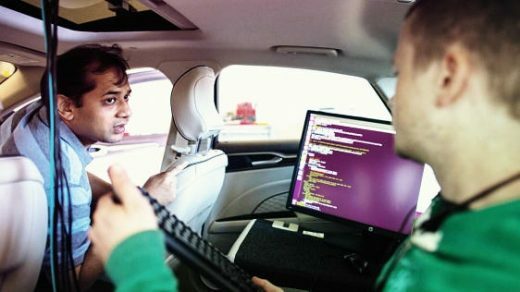 Lyft has since opened an office in Palo Alto called Level 5, specifically for developing self-driving software and hardware. The company has made significant hires to this effect, including Luc Vincent, former lead of Google Map’s Street View. Much of the news surrounding Lyft’s self-driving car efforts has focused on partnerships with companies that are engineering their own self-driving technology. Lyft has landed partnerships with GM, Ford, Aptiv, Drive.ai, Waymo, and Jaguar and launched self-driving pilots in Boston and Las Vegas. But it’s been very hushed about the work going on at Level 5. Lyft won’t say how many cars it will be testing at the GoMentum facility or, for that matter, what kind of cars it’s building its self-driving stack on top of.